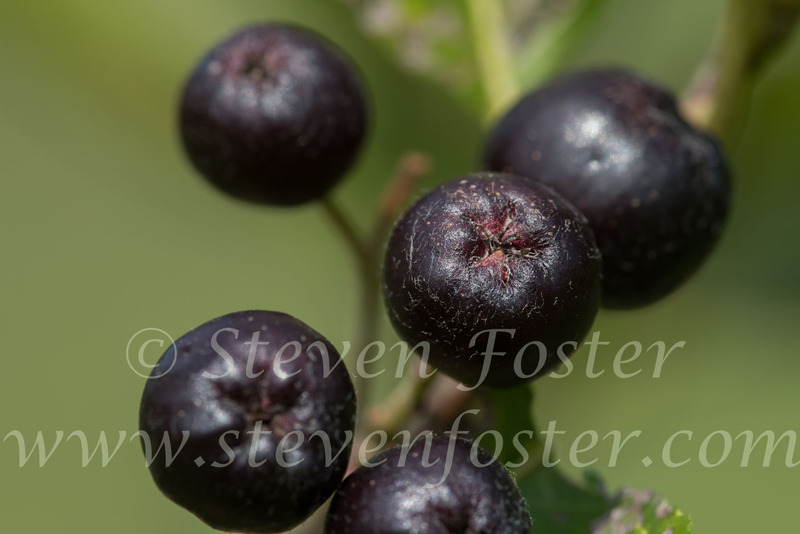 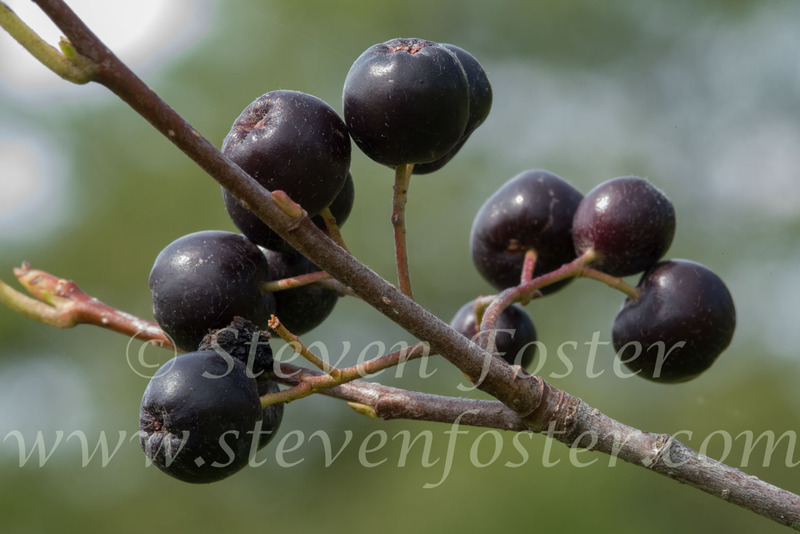 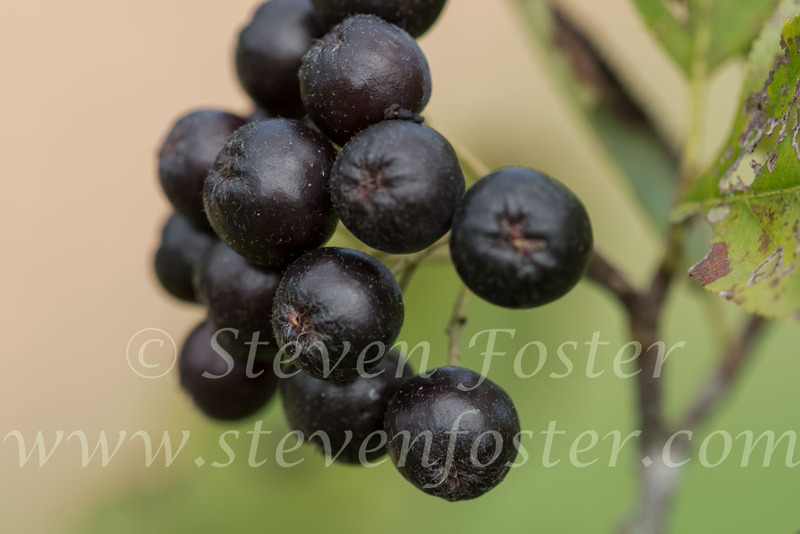 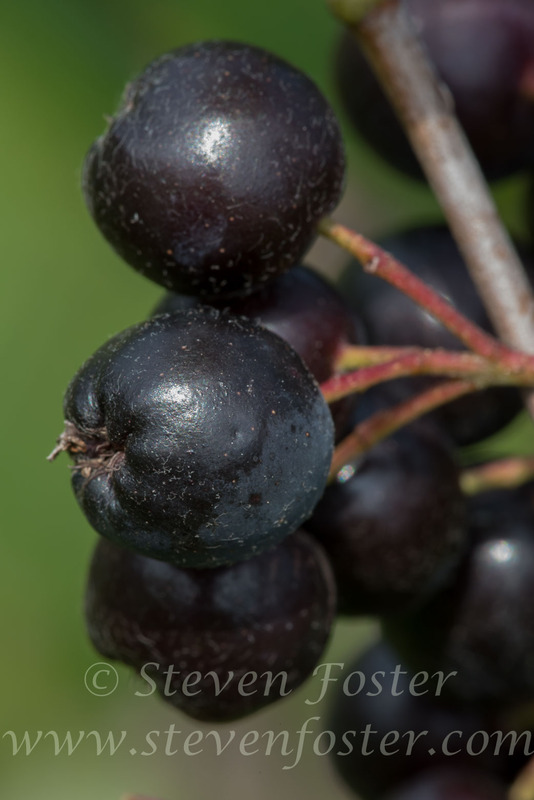 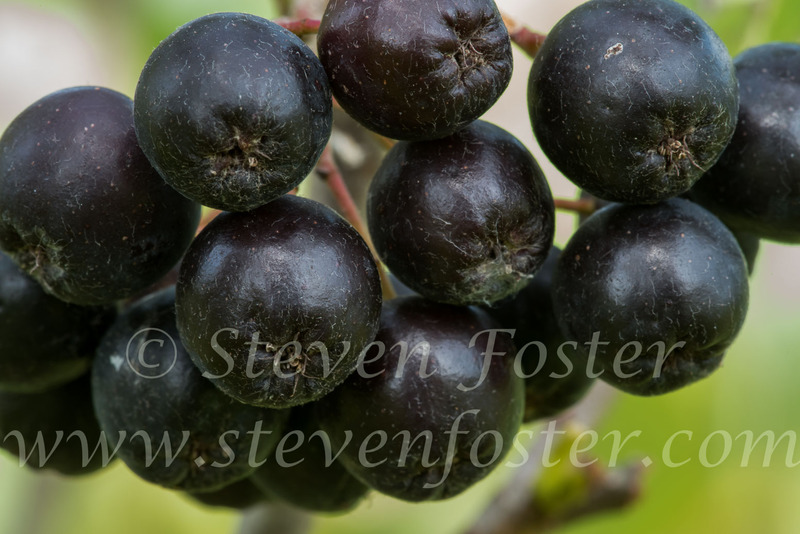 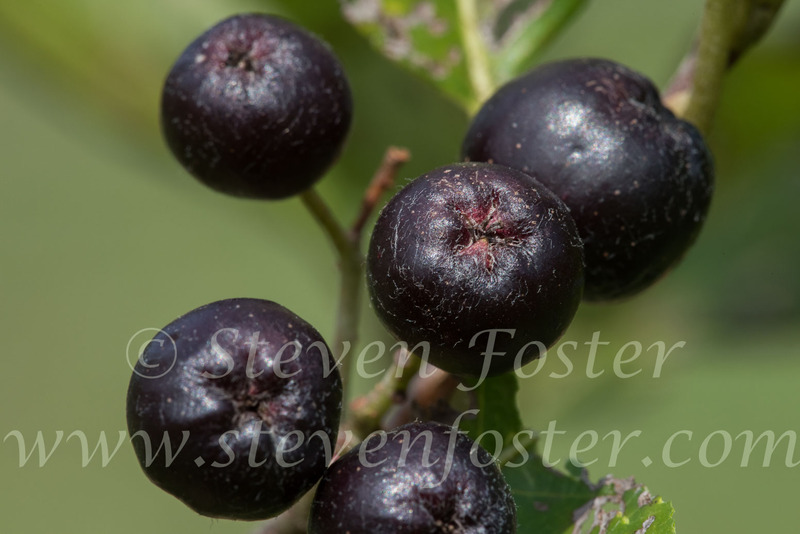 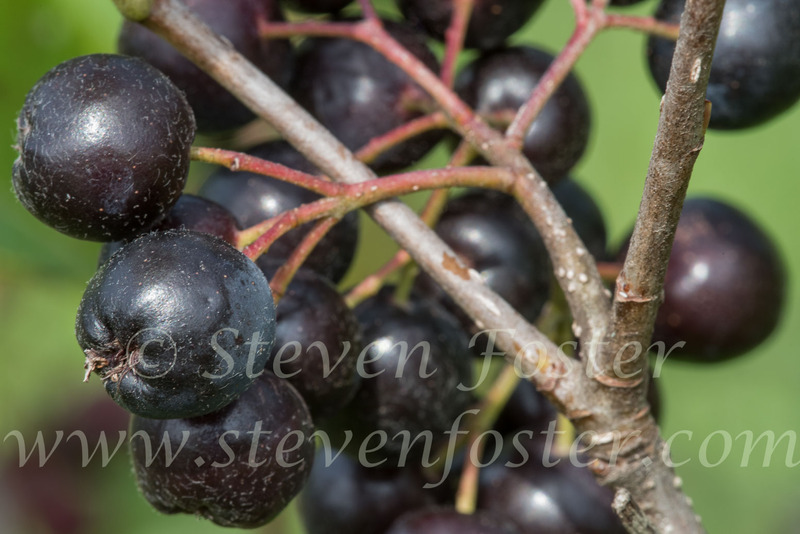 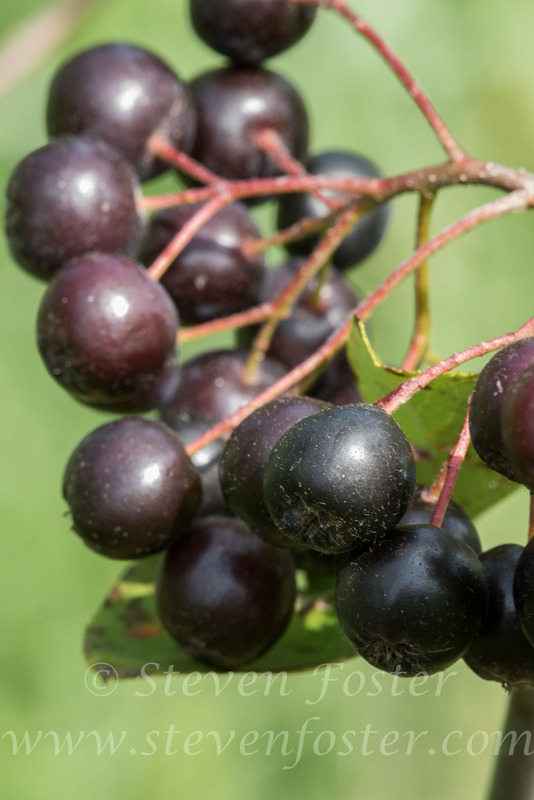 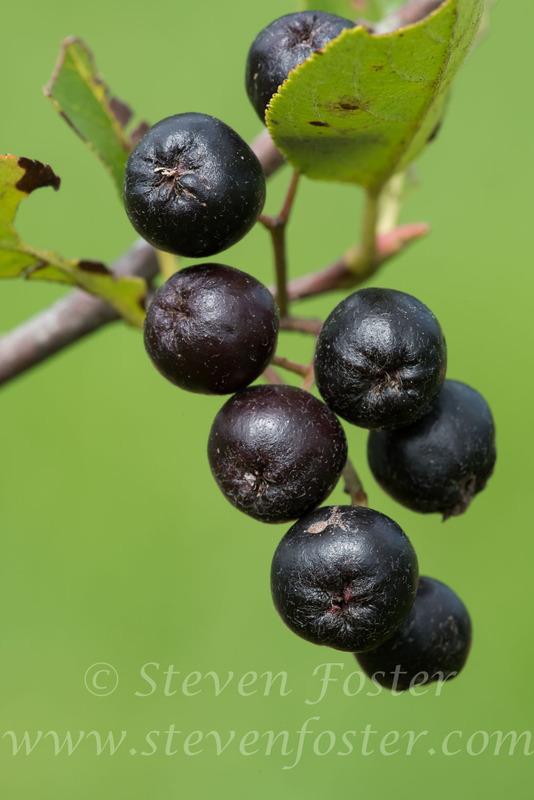 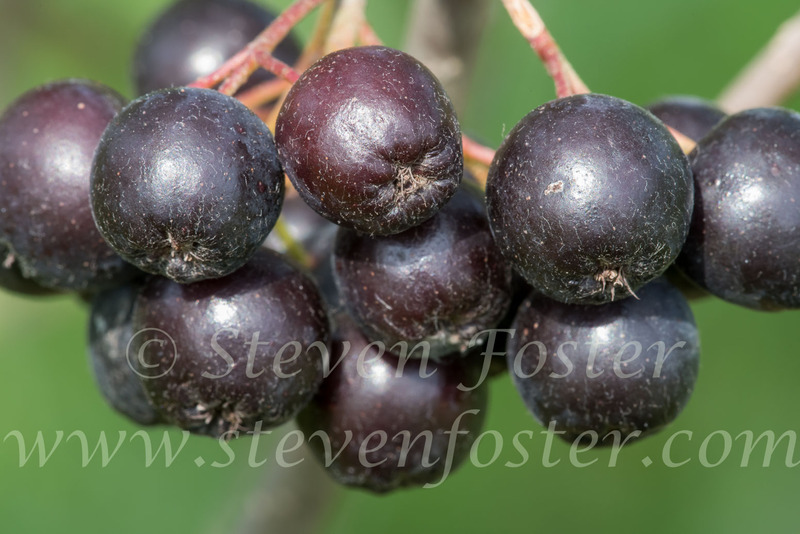 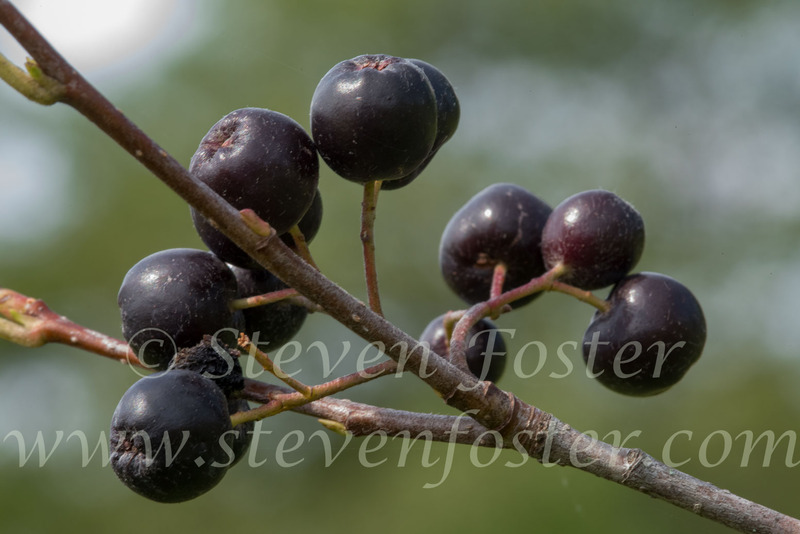 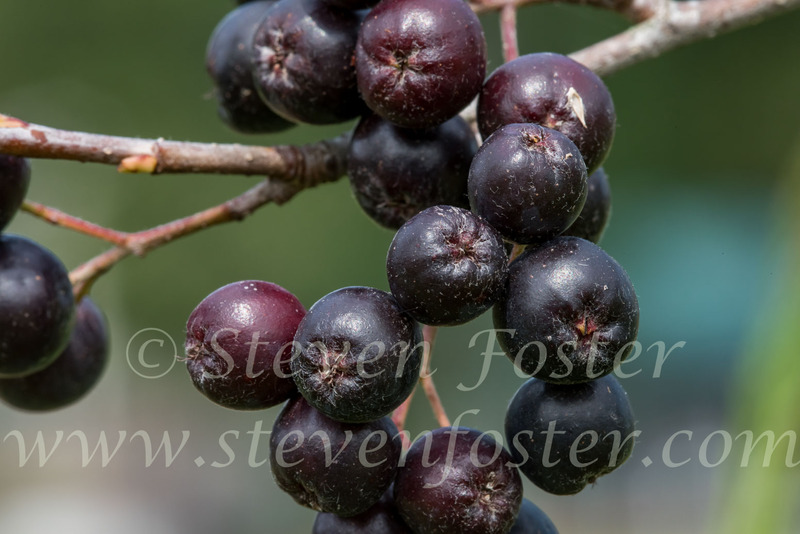 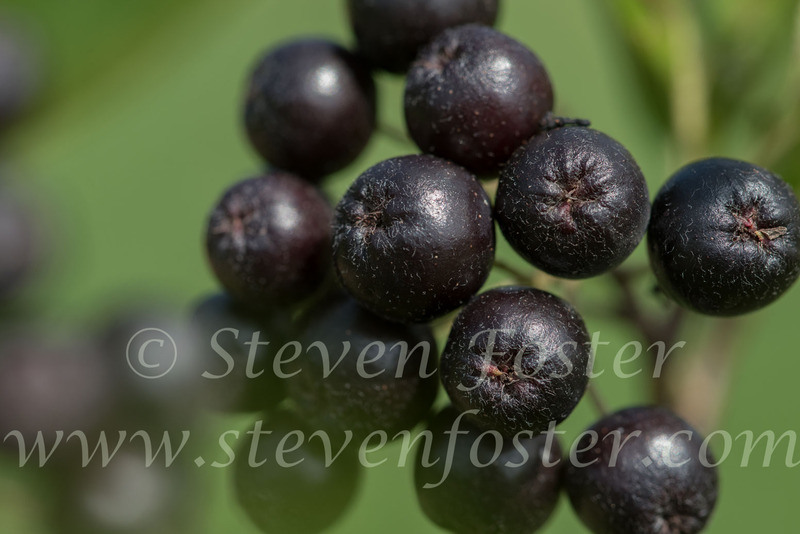 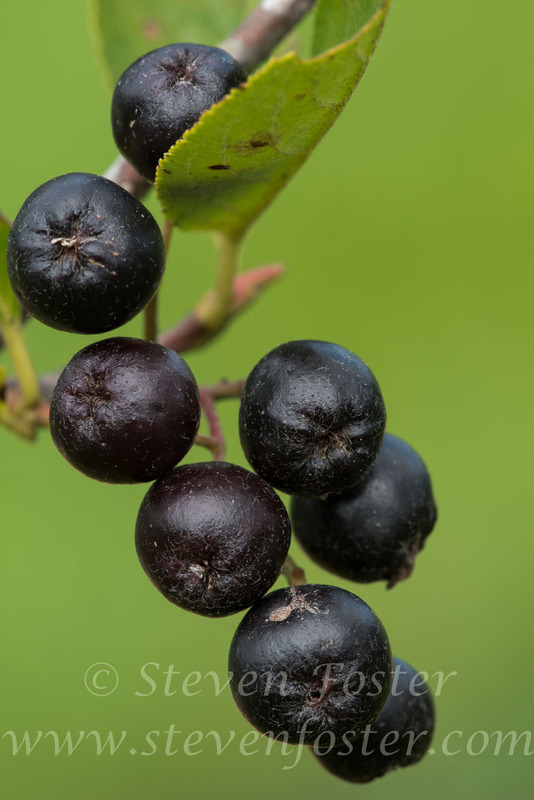 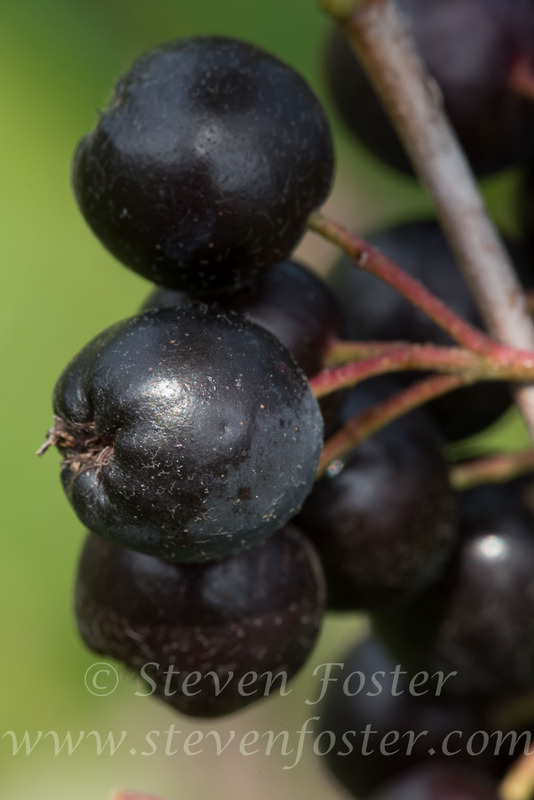 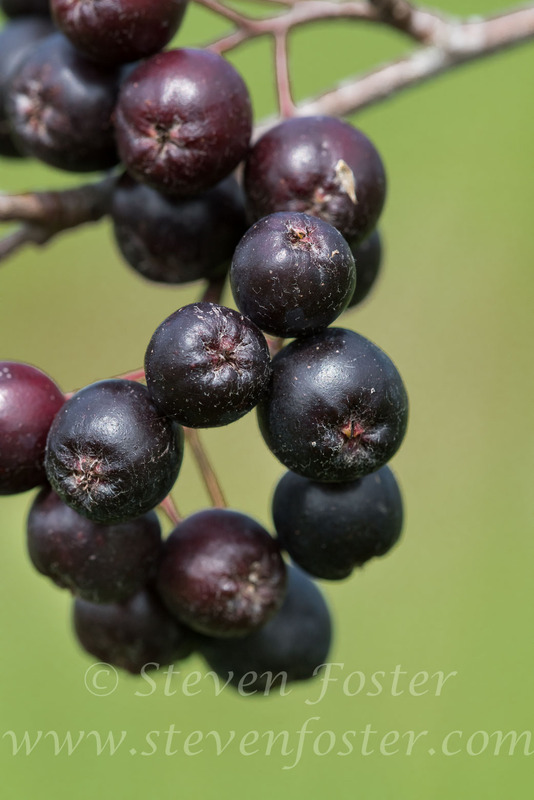 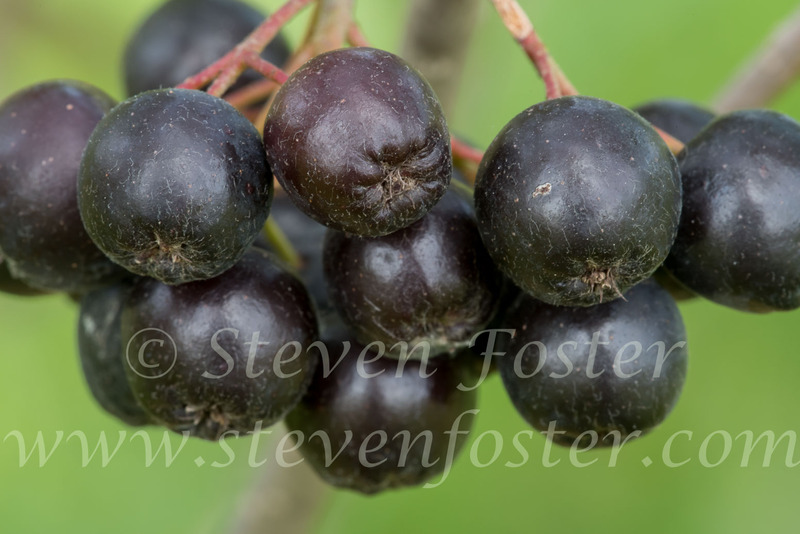 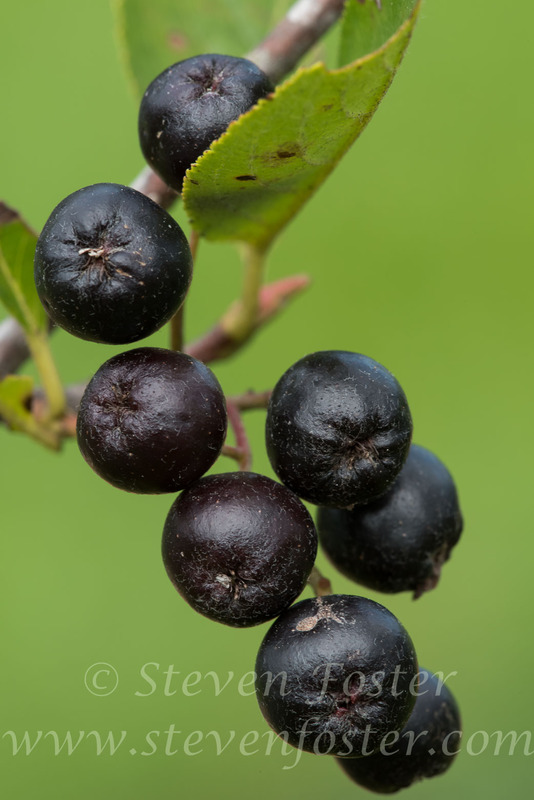 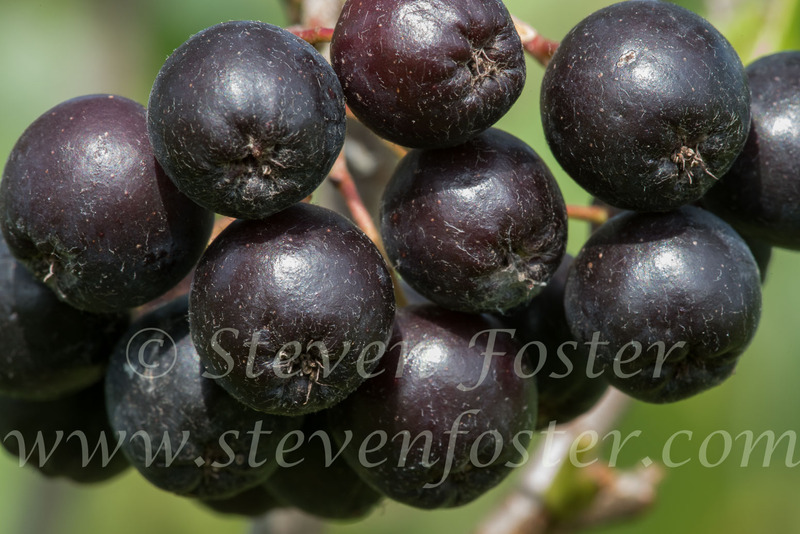 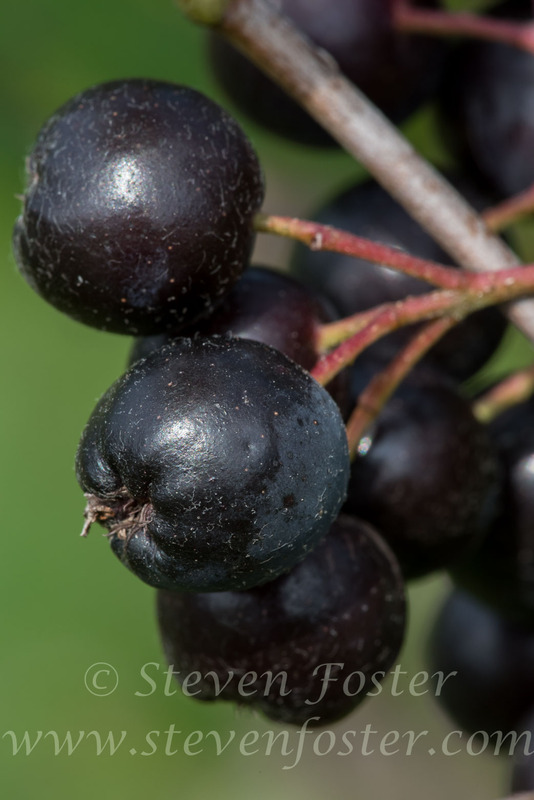 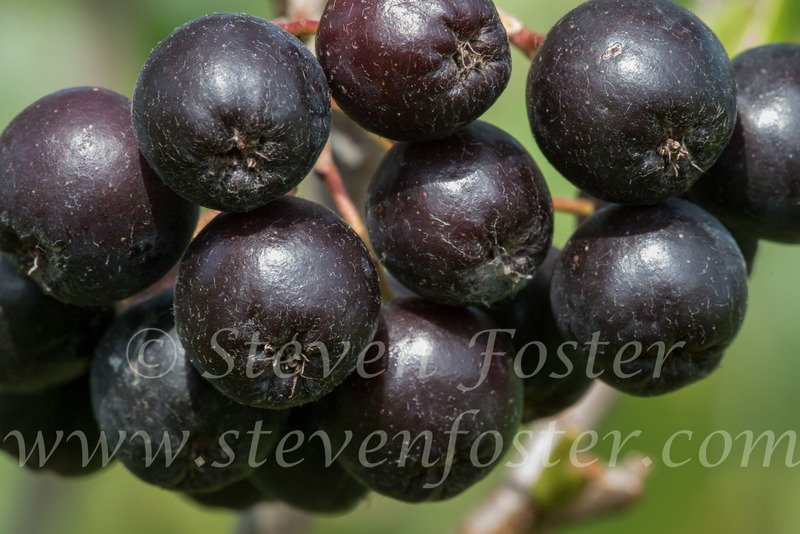 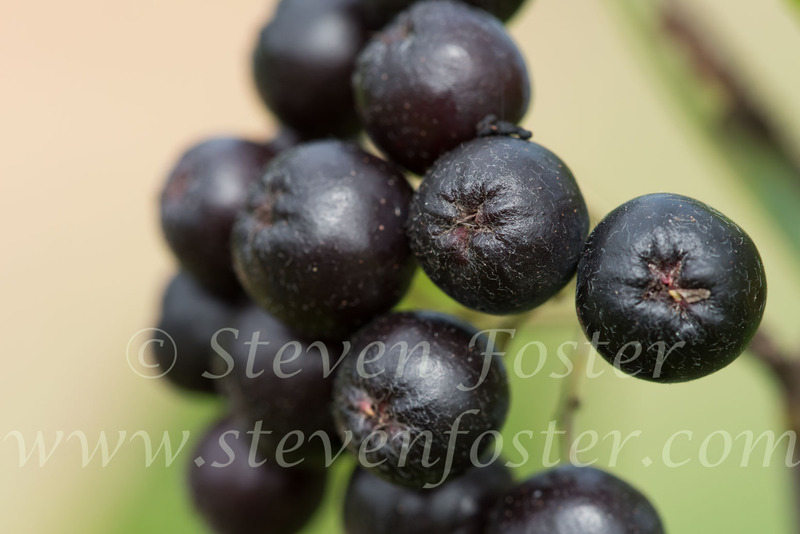 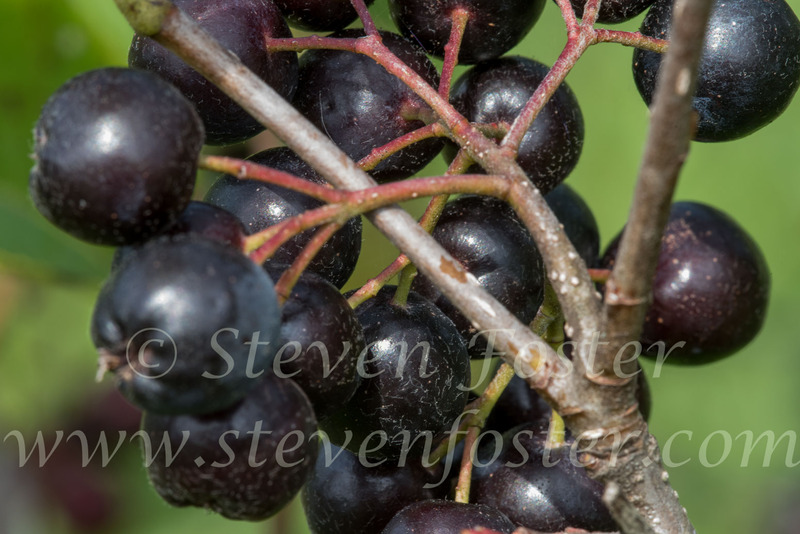 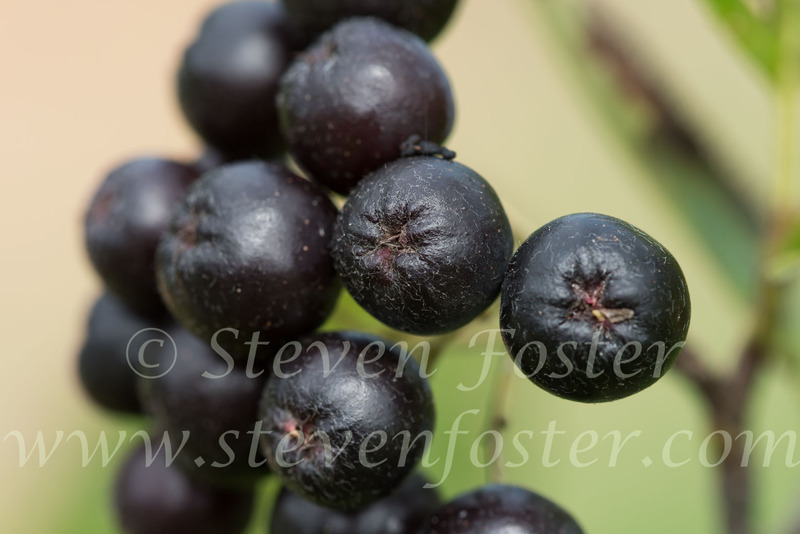 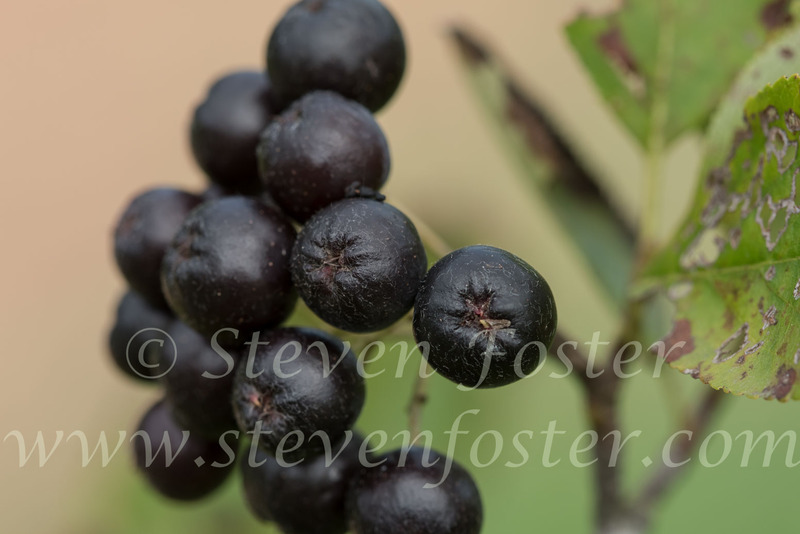 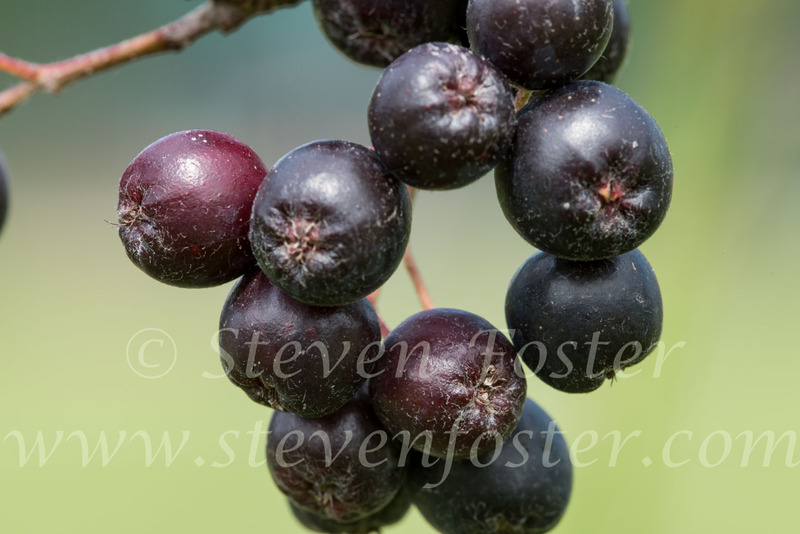 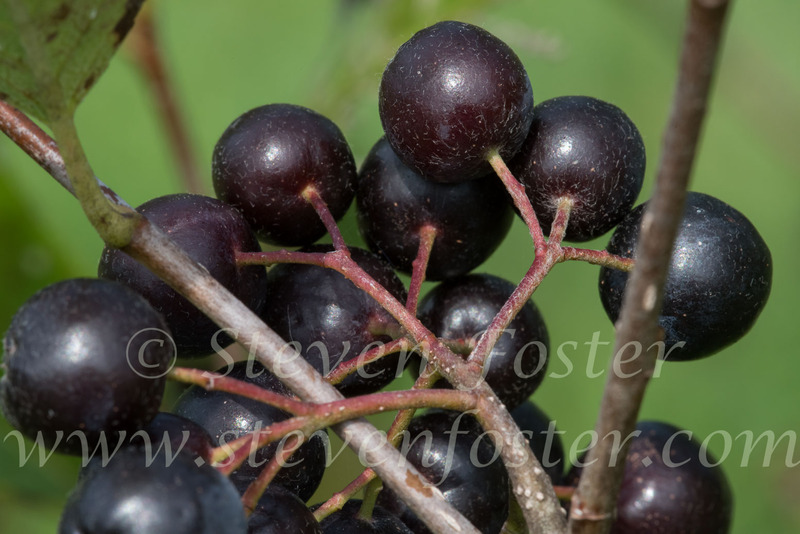 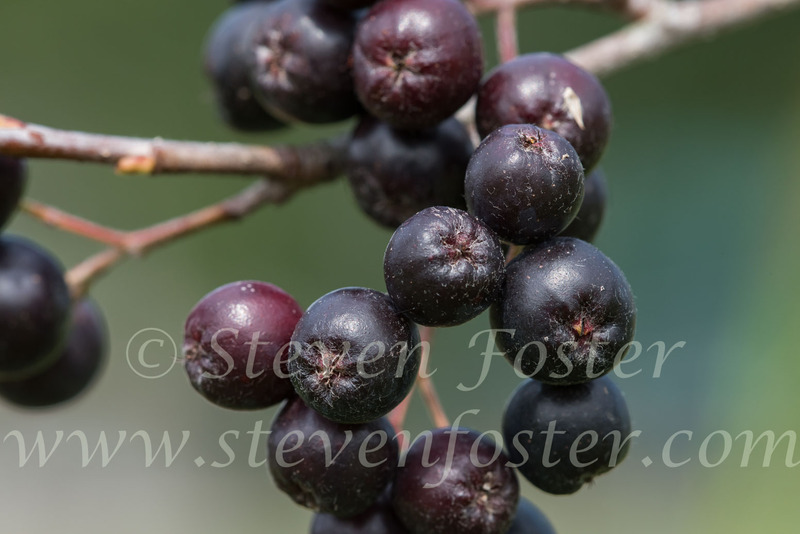 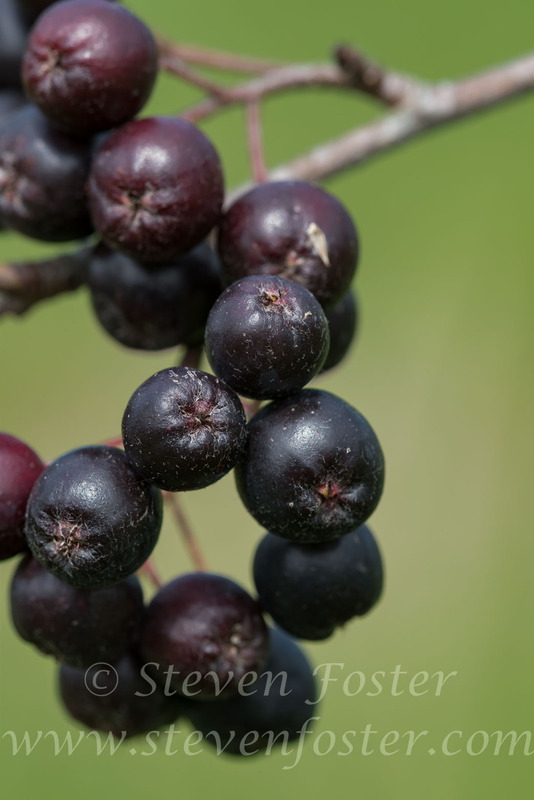 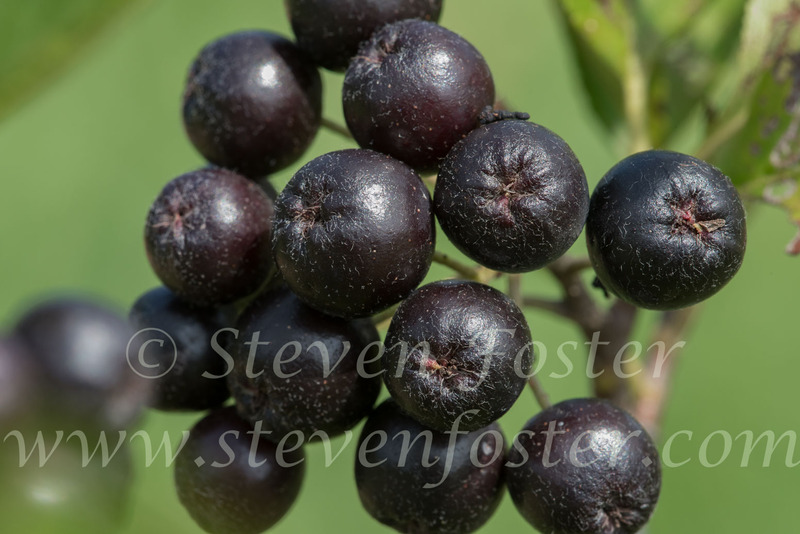 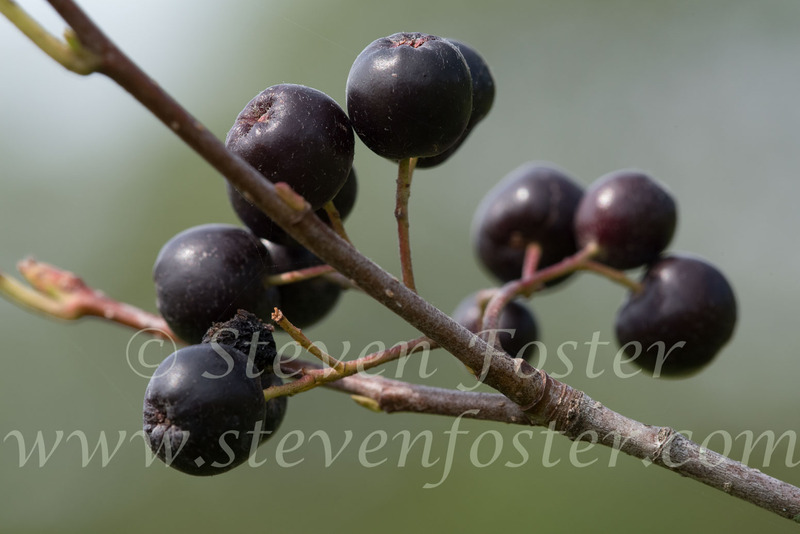 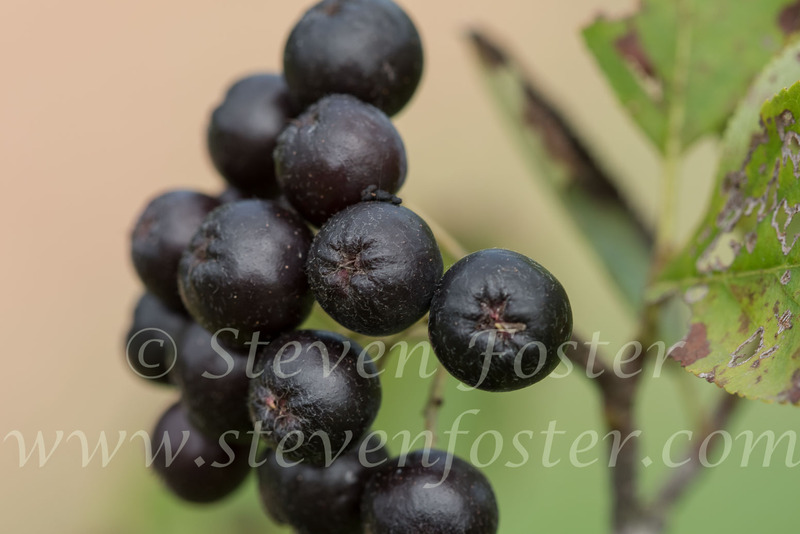 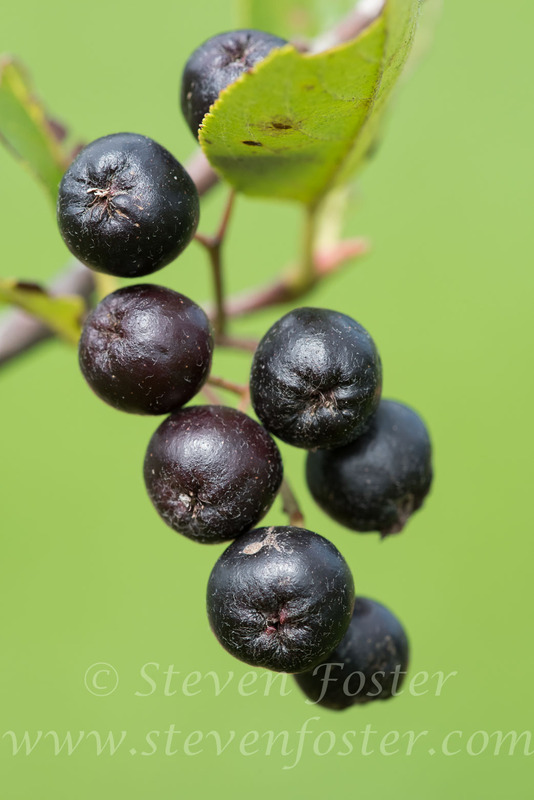 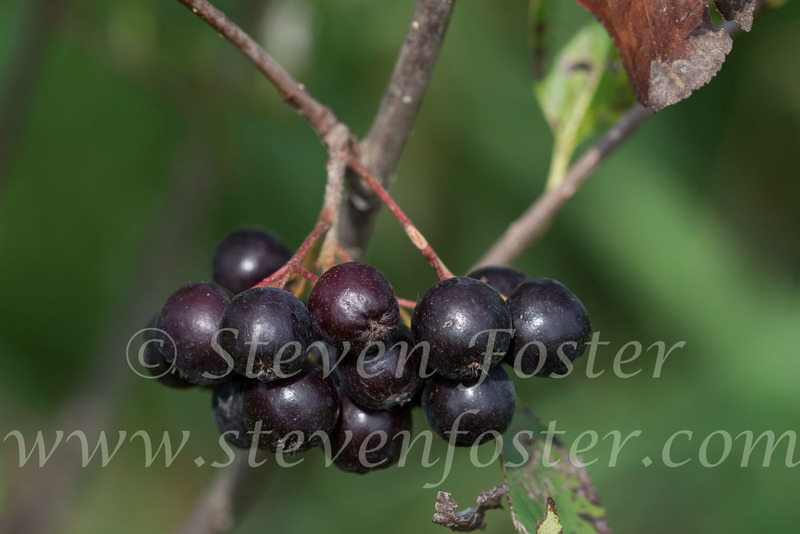 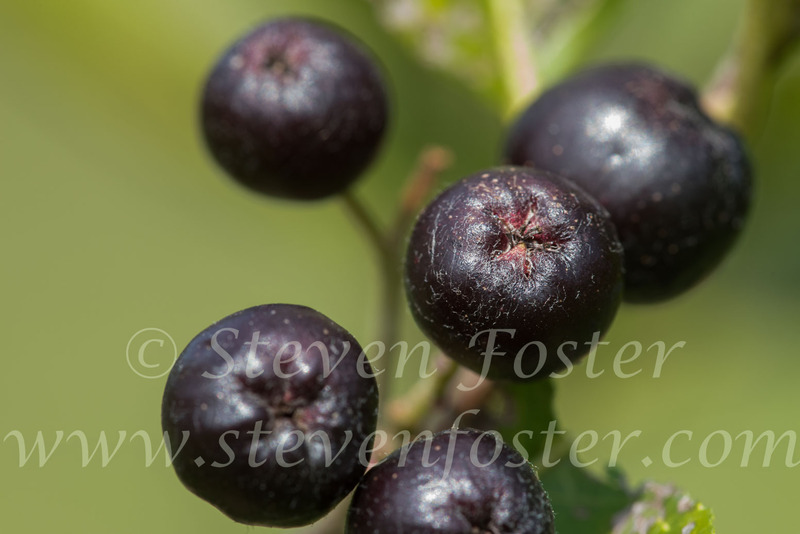 Photos of Black Chokeberry, Aronia melanocarpa. 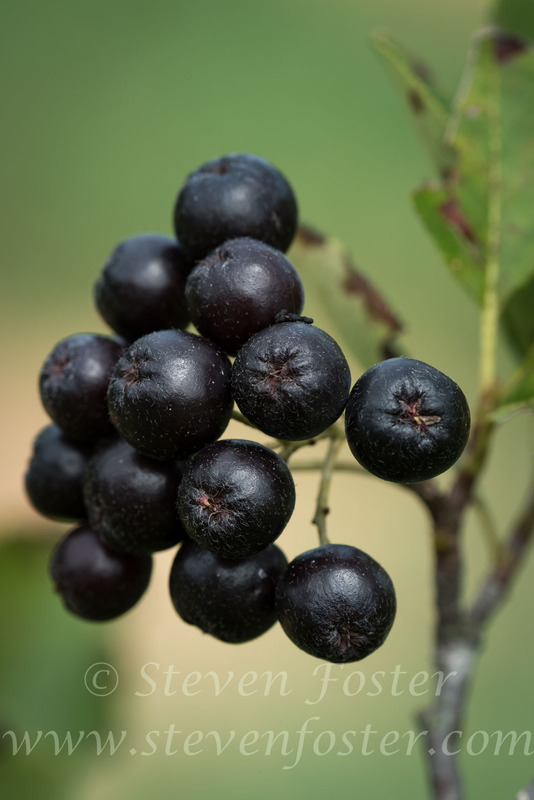 Black Chokeberry, Aronia melanocarpa, a member of the rose family with black berries with an acidic somehat bitter flavor. 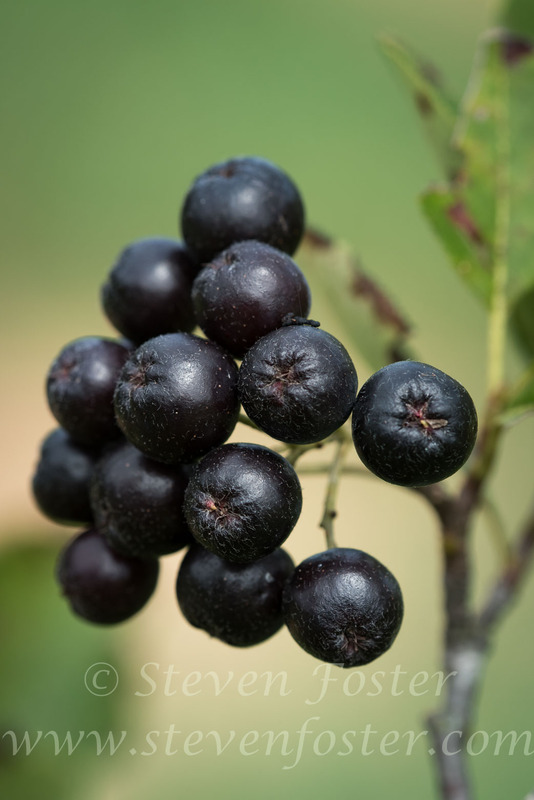 This shrub is native to much of eastern North America, and its black berries have attracted attention for their high content of anthocyanins and associated antioxidant values. 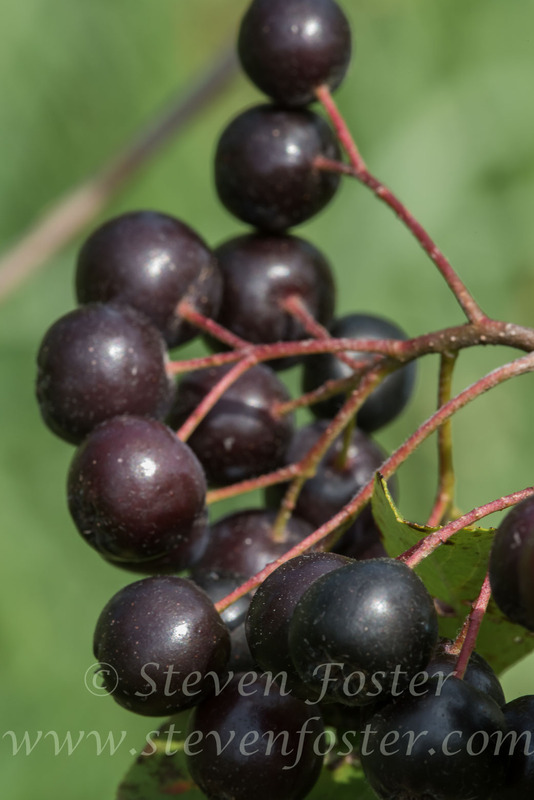 Researched for potential benefits to prevent cancer, cardiovascular disease, chronic inflammation, hypertention, immunomodulation, and other conditions for which strong antioxidant activity is useful for health benefits. 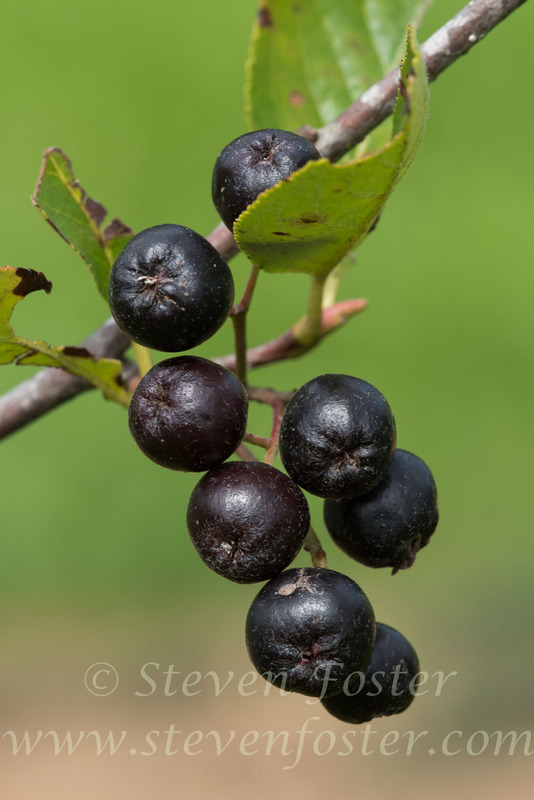 One benefit it lacks is flavor.